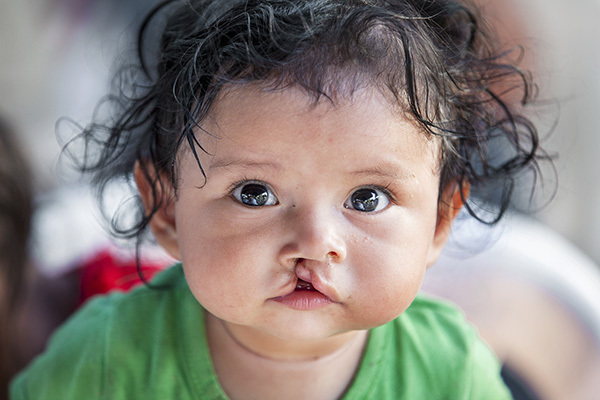 Shocked and heartbroken when her baby Valeska was born with a cleft lip, Zorida received more discouraging news within the first moments of her daughter’s life. 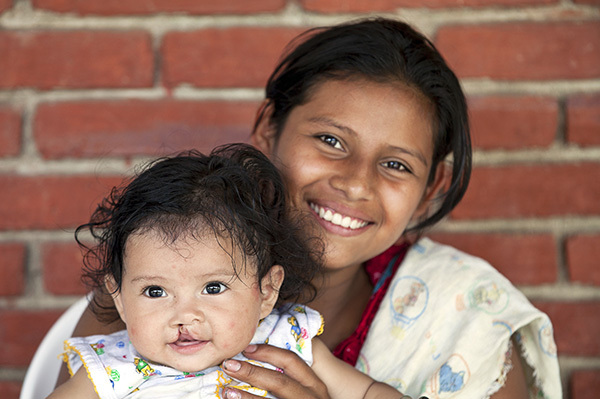 No sooner than learning that surgery was possible to repair Valeska’s cleft lip, the young Nicaraguan mother was told by doctors that the procedure would be far too expensive for her and Valeska’s father to afford. The couple was informed that more affordable, possibly even free, surgical treatments could be found in Managua — a six-hour bus trip from their hometown. Every six weeks after the birth of her bright-eyed daughter, Zorida traveled to Nicaragua’s capital only to return home dejected. Each time she sought help for her baby, she realized surgery cost much more than the family could afford. One round trip cost the family 1,800 córdobas ($62) — a massive drain on their average weekly income of 1,000 córdobas ($34) — making it so Valeska’s father couldn’t afford to accompany 17-year-old Zorida and his baby on their journeys. Back at home, Zorida experienced ridicule from neighbors who blamed her for her daughter’s condition. Drawing from deeply-rooted local superstition, they said that Valeska’s condition resulted from Zorida walking outside during an eclipse. Zorida couldn’t help but to feel a sense of guilt that Valeska was born this way. As hope and resources dwindled after 10 months of searching, a call from the local hospital provided relief for the young family. Operation Smile was conducting a medical mission in Estelí — three hours away — and that free surgery was possible for Valeska. Again, Valeska’s father struggled to earn the money to pay for the bus fare. Like each of the previous trips to Managua, he was unable to embark on this life-changing trek. Anesthesia resident Anna Bengsston of Sweden comforts Valeska. Photo: Marc Ascher. 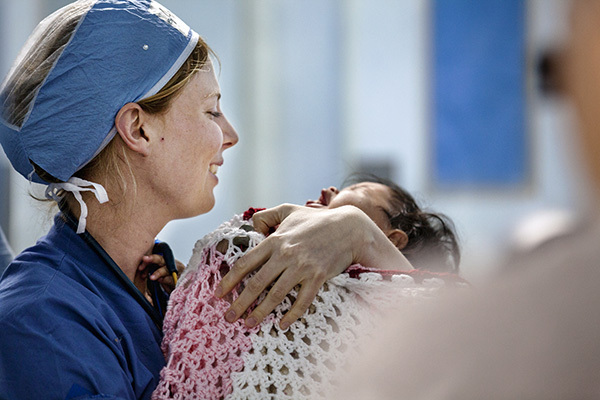 At the medical mission’s site, Hospital San Juan de Dios, Zorida waited nervously while holding Valeska. Naturally, she remembered her unsuccessful attempts to access safe surgical care for her daughter and the disappointment that inevitably followed. After a successful screening, Zorida beamed with pure elation when she learned Valeska was selected for surgery. Now, she could exhale knowing that the bus ride back home would be filled with joy instead of despair. 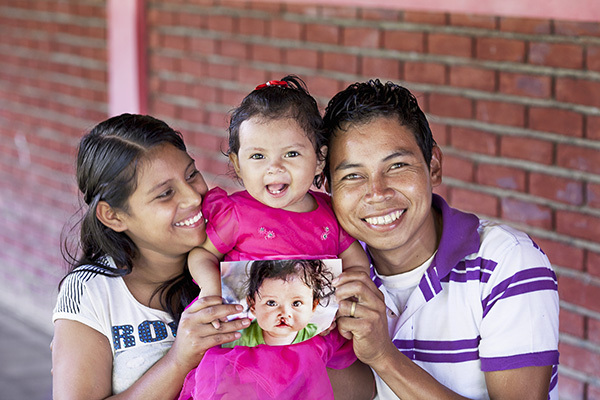 In a single surgical procedure, Operation Smile volunteers repaired Valeska’s cleft lip, giving her a beautiful new smile in time for her first birthday. Since Valeska’s surgery, Operation Smile Nicaragua opened the doors of its new cleft lip and cleft palate care center in Managua in May 2016. The largest of its kind in the country, the center serves as the administrative and educational headquarters for Operation Smile’s medical programs as well as the treatment site for over 800 patients who regularly receive follow-up care. Its presence also helps eliminate resource-draining searches for families like Valeska’s.